From putting together a business plan to purchase a bicycle to helping a company go public to running a successful consulting firm, Terry Ogburn has a wealth of business experience. 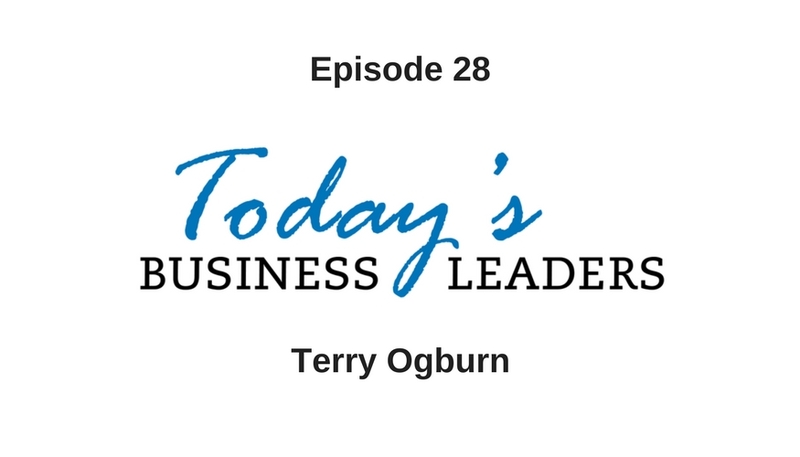 In this installment of Today’s Business Leaders, Terry shares actionable advice and insightful guidance he has collected along the way. One constant through all of Terry’s business ventures has been an emphasis on customer service. While running an air conditioning repair company, Terry rearranged how scheduling was done to better fit his customer’s schedules. He also created a policy for his techs to clean up after they finished working on a unit simply to ensure the client was impressed and satisfied. These changes were simple to implement, but this superior service meant customers stayed with his company. This added customer service helped him build a large and loyal following of customers. The success of the company made it easy for Terry to later sell the company, because the dedicated customer base provided value. People appreciate good service and this will cause them to come back when they need a product or service in the future. Developing trust and becoming a part of the community encourages customers to return and continue to spend more money with your business. As an entrepreneur it is pivotal to listen to customers. They may not specifically explain a problem or issue, but if you are listening you can identify problems and only then can you create a solution. Terry suggests hiring the people you need to get you to the level you want to be. This may require bringing on new people to continue to grow the business. Terry also suggests going into business as if you plan to sell. When the end goal is to sell you will structure things in such a way that will make a sale easier, but will also ensure the company operates more effectively under your watch. Visit Terry’s website, connect via email, LinkedIn or his business or personal Facebook page to learn more tips and insights. Learn more about Gabe’s company, Business Marketing Engine, as well as the free courses available and catch up on back episodes of Today’s Business Leaders.